Tip to tip, this jet spans slightly more than a light-year. The fountainhead of this structure - the young star - lies midway between the jet, and is hidden from view behind a dark cloud of dust. 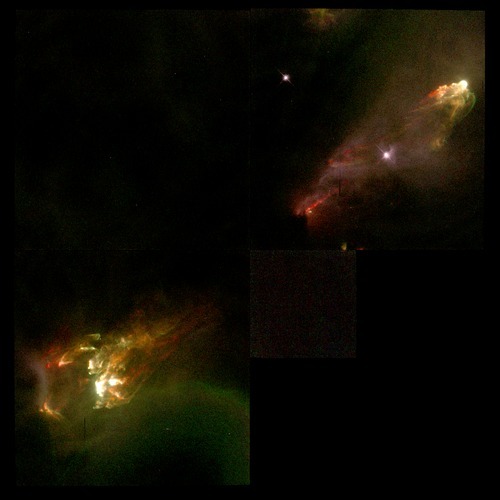 The nearly symmetrical blobs of gas at either end are where the jet has slammed into interstellar gas.